Playing in a band challenges people of all abilities to work together to create a great performance. The skills learnt here stay with you through life as do the friendships that you make. You have to have played in these type of units to really appreciate this. Rich, poor, intelligent, academically low achievers, can all succeed. There aren’t many areas in life where everybody has an equal chance. 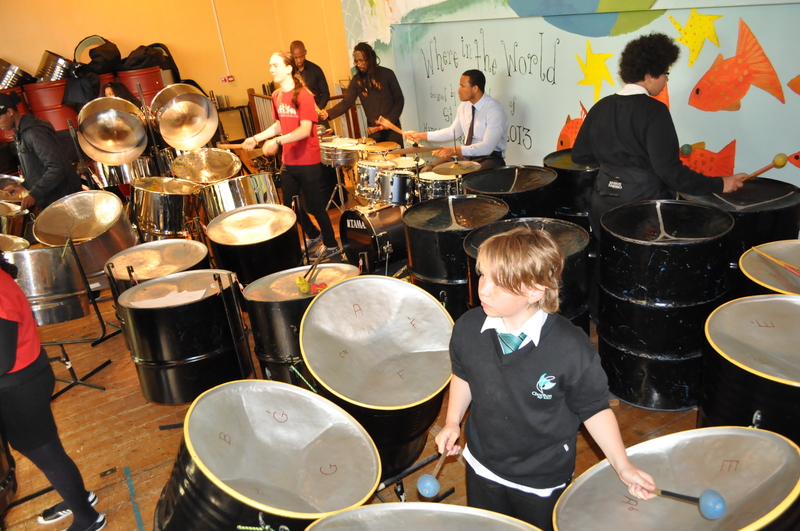 Manchester Youth Steel Orchestra (MYSTEEL) is based at St Margaret’s CE Primary School in Whalley Range on a Thursday. 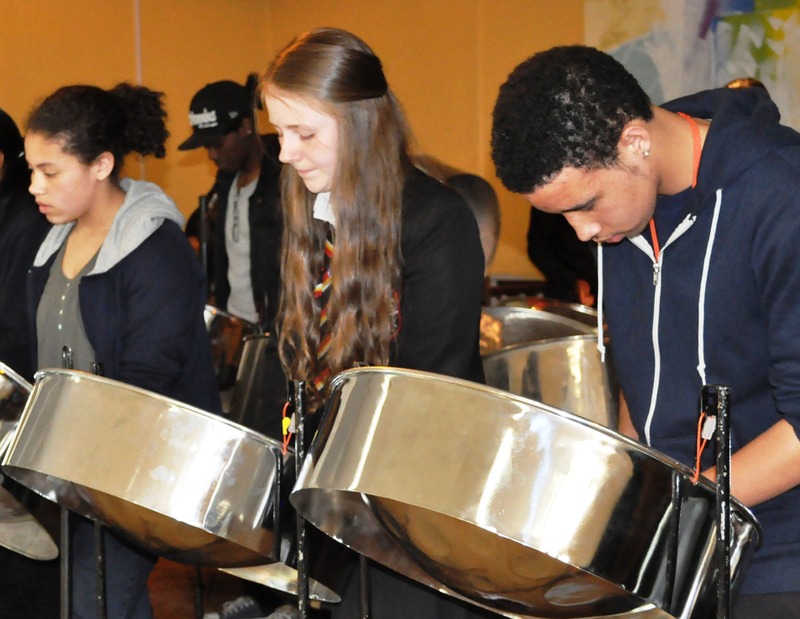 This centre gives students who are already playing steelpans in school, the chance to progress and enjoy being part of this exciting group. 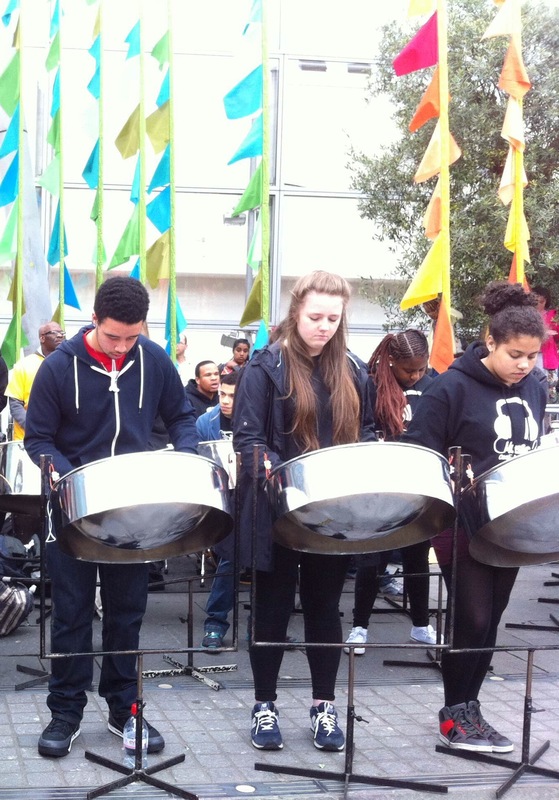 MYSTEEL regularly perform at the Manchester Day Celebrations and in the local community.